It’s been a week where multichannels have made all the difference. On the back of MasterChef and Shark Tank TEN ranked first in primary channels last night but had to settle for third place in network share. The cooking series won its slot and the demos once again. While Rake drew a crowd of 605,000 for ABC, it lost a pile of viewers when Cleverman commenced -now just 257,000 viewers. Nine network won Thursday with 26.7% then Seven 25.3%, TEN 23.9%, ABC 17.5% and SBS 6.6%. Nine News was 1.02m / 978,000 for Nine then A Current Affair (938,000), RBT (668,000), Hot Seat (586,000) and The Footy Show (369,000 in 3 cities). Movie: Mr & Mrs Smith was 171,000 in 2 cities. Seven News was #1 for Seven with 1.13m / 1.05m, followed by Home and Away (734,000), The Chase (685,000 / 433,000) and Mighty Cruise Ships (417,000). Car Crash TV lived up to its title with just 289,000 and Rush Hour was only 134,000 / 113,000. 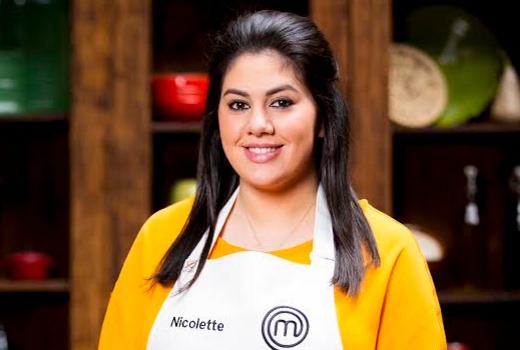 MasterChef Australia (1.08m) won its slot for TEN. Shark Tank drew 646,000, The Project was 635,000 / 489,000, TEN Eyewitness News was 527,000, and Law and Order: SVU was 368,000. On ABC it was 756,000 for ABC News then Rake (605,000), 7:30 (494,000), Kitchen Cabinet (476,000), Antiques Roadshow (284,000) and Cleverman (257,000). Sugar Free Farm (206,000), Poh and Co. (175,000), Made in Italy with Silvia Colloca (149,000) and SBS World News (142,000) comprised SBS night. Follow the Money was 89,000. Shaun the Sheep bleat out multichannel rivals with 271,000. OzTAM Overnights: Thursday 16 June 2016. Have to say Rake was superb the other night. Well written and the joy that Richard Roxburgh has in playing this character is just infectious. I’m not watching Cleverman for one simple reason. I missed the first episode and iView is horrible quality. So I will wait until it’s replayed on TV at a later date. Or maybe pick up the blu-ray or something. ABC has always acknowledged ratings are important. But Overnights and ratings generally carry less weight with them than commercials. So it’s not the driving factor. Sometimes you might also put your faith behind something that finds its feet in S2 -backing yourself- so where a broadcaster like Sundance is involved that’s a consideration. Agree Cleverman is niche and hasn’t quite lived up to the hype but it has also taken a lot of risks, which TV doesn’t do enough of. No problem at all with risk taking David. But why rush to renew a show when by episode 3 nobody is really watching? Some shows in second series do find their feet but usually they start slowly and begin to steadily build towards the end of series one. The ABC has the same problem with Glitch and both series involve a serious ABC investment. Shark Tank up again (646,000 to 609,000) on Thursday as it was on Wednesday (700,000 to 625,000), looks like I need to stand corrected about it being on two days a week hurting the brand…kudos TEN. I was one of the 73K who bailed on Cleverman after the second ep. It just didn’t cut it. To lose another 23% on top of the 27% drop from the first ep would be considered disappointing, much like the show itself. Fortunately, Follow The Money on SBS has been excellent. Am still persevering but agree that Cleverman hasn’t lived up to the hype- yes, quite a disappointment. Can understand why many viewers are not sticking with it. Yes. I’m going to refer to it as Cardboardman from now on. Ten beat Seven & Nine! Cleverman is now on par with Glitch & Please Like Me. This is how the ABC renews programs? I was only asking the question. In fact, I’m enjoying Cleverman & I thoroughly enjoyed Glitch. However, as a discussion about ABC Funding, should it be funding niche, innovative programs which struggle to find an audience,or mundane crime dramas which attract large audiences? Perhaps both? I don’t actually disagree. Ideally the ABC should be able to fund things that attract big audiences and pay attention to (although not necessarily depend on) ratings. But the charter (& politics) requires them to do certain things (national identity, cultural diversity, education, etc) that the competition isn’t, while also providing niche and wide appeal programming. All the while covering the whole country with national & local radio/TV, not stepping on the competition’s toes – without spending too much money, upsetting too many people, or even giving anybody anything beyond the most trivial to complain about. FWIW, I basically liked Glitch (despite my criticisms) & thought Please Like Me was a nice gentle comedy. Cleverman I’m not so sure about – good concept & interesting ideas there, but I’m not convinced either the script or the production quality are up to it. I haven’t watched Cleverman, yet. I have recorded the three episodes, but yet to watch it. As for Glitch and Please Like Me, I liked them both. The premise of Glitch didn’t appeal to me, but it turned out to be much better than I expected and it grew on me to the point where I was disappointed it wasn’t given a second series. Please Like Me is more an acquired taste. It is never laugh out loud funny, but often very poignant. I am coming around to the view that the ABC is over-extending itself, but I am glad that it is still there. SBS is becoming more popular with me, mainly for the nordic shows. Ten desperately need another multi channel on air. Surely they have enough material to that via CBS or even Foxtel? As always when someone suggests this, the question is “why?”. Given that 10’s existing multichannels individually rate consistently below those of 7, 9, and the ABC, the sensible thing would be to rework and reposition them with more attractive content that has a chance of rating higher – not just add another multichannel that at best will dilute the overall pool, or at worst steal viewers from their own main channel. Not everyone wants the current programming as can be seen with 9Life. Targeting an audience is the key. Why do radio station owners own more stations in a single market it’s because they compete for listeners with other media sources. TV channels need to do the same but not have a channel playing encores and disjointed programs. Find a niche that gains viewers from other media streams. At present owners are only allowed 2 radio stations per market. In those same markets you have TV owners with up to 5 different TV stations (6 in the case of 7 Network). Macquarie Radio is supposed to be selling off 2CH in Sydney as – after the ‘merger’ of 2GB and 2UE – they’re not allowed three stations in the one market. In capital cities they have digital radio stations as well. This can heard on digital radio, streaming online, via websites, via smart phones n tablets. You can listen outside those cities as well. No, no, a thousand times no. Where is the money going to come from? They can’t afford to buy decent stuff for their existing channels. Just fix up their current ones, One could become a Foxtel teaser channel and Eleven be tidied up a bit, why have the Star Trek shows on One, put them back to the CBS style Eleven.